It is a wild mixture of everything you might possibly be interested in: TV personalities, storytellers, famous politicians, members of parliament, spiritual gurus, proponents of alternative energy, as well as some of India’s most popular singers, healers, and fortune tellers. 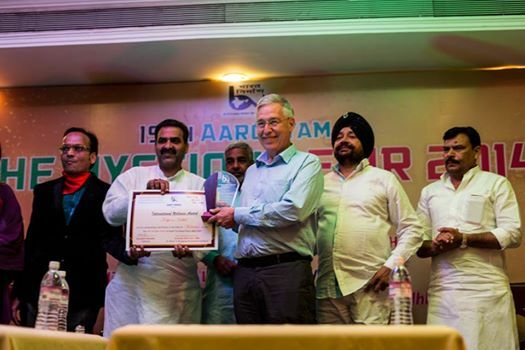 In the midst of all this, Acem India Chairman Torbjørn Hobbel is awarded the International Wellness Award for his outstanding contribution in the field of meditation. Torbjørn Hobbel receives the International Wellness Award for his outstanding contribution in the field of meditation. “The Mystique Fair 2014” might sound like a strange place to appear for Acem, an organization that has spent almost half a century promoting meditation without mysticism. But this is India, and everything is different from most other places on Earth. The fair is a big event held annually at one of New Delhi’s poshest hotels, The Royal Plaza. The award was bestowed by the NGO Bharat Nirman, along with the Big Dreams Foundation, Build India Foundation and Mystique India Exhibition. Acem had its own stall at the fair, and visitors included Mahatma Gandhi’s highly respected granddaughter Tara Gandhi Bhattacharyaji. 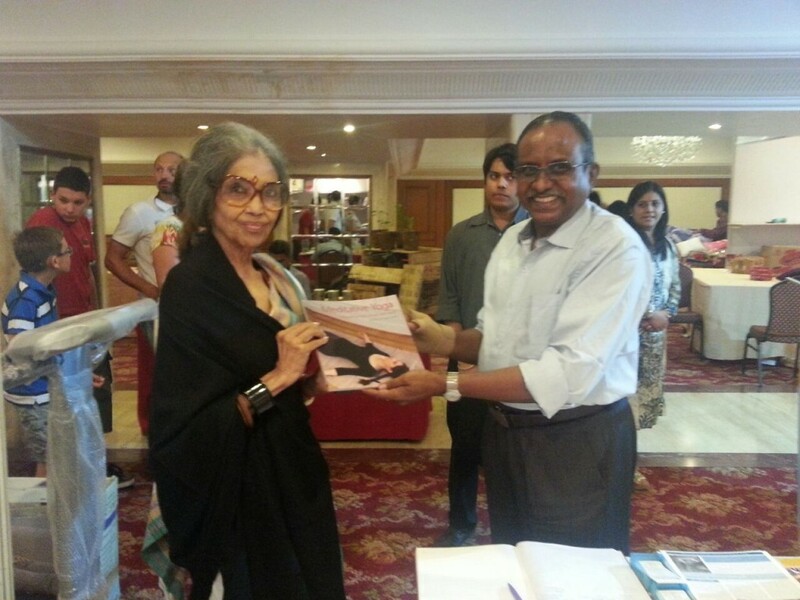 Mahatma Gandhi’s granddaughter Tara Gandhi Bhattacharyaji is presented with Torbjørn Hobbel and Are Holen’s book Meditative Yoga, here with Acem India assistant instructor I. Jayaraj. In his talk at the fair, Mr Hobbel discussed meditation as a regular practice, in contrast to the widespread belief that insight comes by divine grace only. He spoke about science and the way you can see that meditation affects body and brain in a more concrete way than the moods and feelings often associated with it. And he argued that the most profound effects of meditation presuppose a free mental attitude, in nondirective forms of meditation. Torbjørn Hobbel discusses the regular practice of nondirective meditation and the scientific study of it. 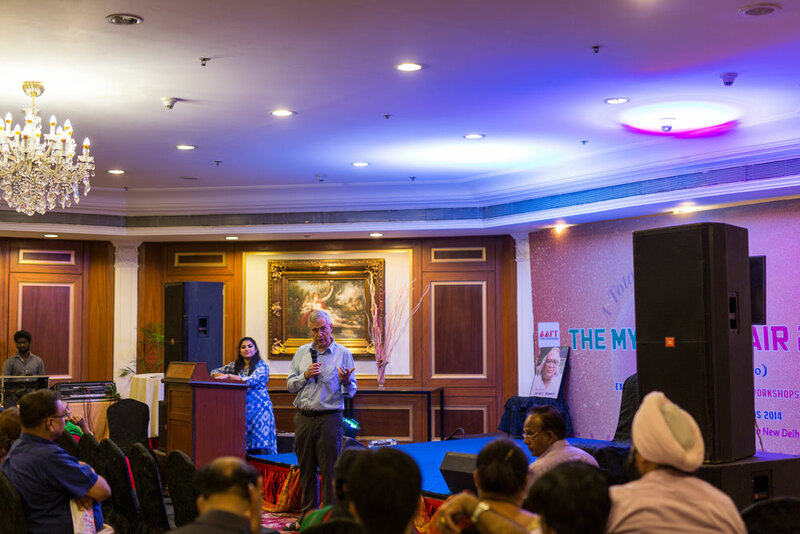 Since the 1990s, Mr Hobbel has spent much of his time promoting Acem Meditation in India. The organization has its headquarters in New Delhi, but also has activities in Tamil Nadu in the south and Odisha in the east, as well as an annual weeklong retreat in the foothills of the Himalayas.